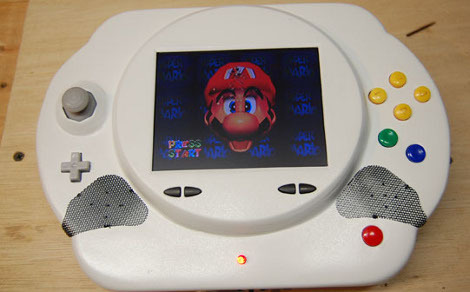 We love a beautiful and successful N64 portable mod, (In case that fact wasn’t already obvious). And today we would like to add [cndowning’s] Nimbus N64 to our list of favorites. The base is made from vacuum formed plastic while the buttons come from a modified superpad and the screen is a Zenith 5inch. We couldn’t find word on battery life or weight, but for those that like a hunt, or have other questions, the build logs are available. Follow the jump for a video of the Nimbus in action.